Professional organizations and their meetings are one of the best parts of academic life. You get access to important professional resources and networks. 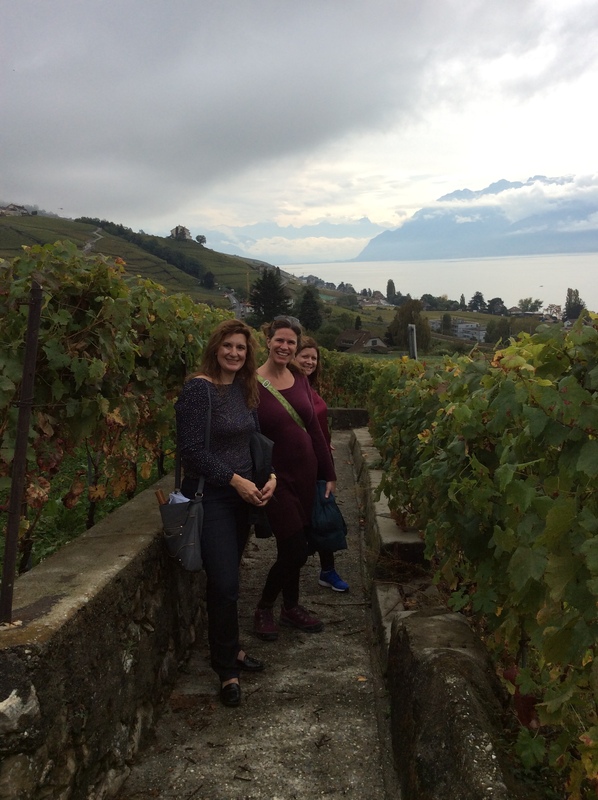 Conferences are in fun locations – some of my favorites have been Melbourne, San Diego, New Orleans, Lausanne – and once there, you get to hang out with a bunch of people who also nerd out on good research. But, professional organizations and conferences can also feel overwhelming and mysterious to new graduate students. The big question is – why join an organization in the first place? They are expensive to join, and once you graduate, they are even more expensive to maintain membership. But, they do offer a host of benefits. 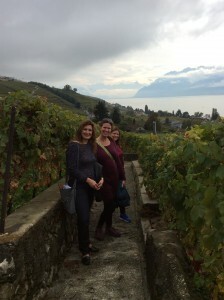 Me, Kelly Musick, and Tasha Snyder on the Lavaux Vineyard walking tour outside of Lausanne, Switzerland. We were attending the Society for Longitudinal and Life Course Studies conference. Kara Joyner was behind the camera. Professional organizations often sponsor journals. You will have access to the journal through your membership, and often can even get print copies of journals if you prefer. But, you can probably get the journal through your institutions library, at least at most universities with graduate programs. You also get access to other professional resources, such as the mentoring program that the International Association for Relationship Research (IARR) offers. Junior scholars are paired with more senior scholars, and these senior scholars offer advice, networking opportunities, and support. Many organizations have teaching resources available, and others have professional development resources, such as example conference submissions. Some organizations have member profiles on their websites. The Council on Contemporary Families (CCF) has a database of members that reporters can search for experts related to their reporting. The listserves maintained by professional organizations are also very useful. They are used for disseminating information such as job opportunities and as recruitment tools for studies. Some disseminate teaching resources or media articles related to the organization’s topical focus. Most departments post their job ads to professional organization websites as well as the Chronicle of Higher Education. It is much easier to find jobs that are related to HDFS on the National Council on Family Relations (NCFR) website that to try to search the massive Chronicle database. Finally, organizations often publish newsletters with useful articles and updates on issues of relevance to the organization, such as the funding situation at NIH or a policy brief that was recently published. You do not always need to be a member to receive these emails, so check the organization’s website to see if you can sign up for the emails even before you are a member. Professional organizations, particularly through their meetings, can spark new research ideas. Consuming the latest research at conferences can help you identify exciting trends coming in the field before they even appear in the journal. You might learn about a dataset that is publicly available that you did not know existed. 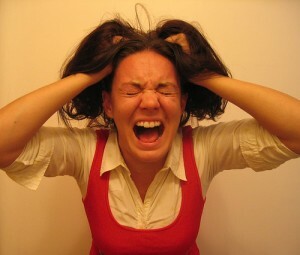 You might come up with a novel research idea that you hadn’t previously thought of upon hearing a question at a talk. Thus, professional organizations can help you push your research forward. Today I am publishing the first publicly available ranking of Human Development and Family Science programs in North America, at least the first ranking that I am familiar with. Why did I go to the trouble of creating this ranking? Because I believe in human development, and in particular, family science, and you should too. When I first got my job at Ohio State, I did not like the name of our department. Human Development and Family Science? My degrees from Illinois and Penn State were both in Human Development and Family Studies. In all honesty, I thought family science was some kind of strange term for scholars that studied families, but were not rigorous researchers. What came to mind were cross-sectional, community-based studies, where the major topic of interest was some abstract concept associated with some other abstract concept. At the point I was hired, I had just gotten done working with an economist for two years, so my use of the term endogenous was at an all time high, as was my dismissal of scholarship that I put in the “family science” category. Sometimes I would talk about my program as “family studies” because I was embarrassed of the term. Over time, however, the term family science has grown on me. Family science used to seem like this exclusive term, whereby you had to be in a particular club, or get your PhD from a particular program, to be a “family scientist”. But, now that I have learned more about family science, I realize that it is actually an inclusive term. Actually, my article using econometrics to examine the mental health consequences of cohabitation vs. marital dissolution is family science. And so is my article looking at how playing with a “fake baby” determines your co-parenting after the real baby is on the scene. Family science is diverse, interesting, and includes a range of research topics related to the family, from family demography to family psychology, from qualitative to quantitative methods, from large, secondary datasets to small, community samples. Guest Post: Leadership Matters, So what’s the Matter with our Leadership Today? 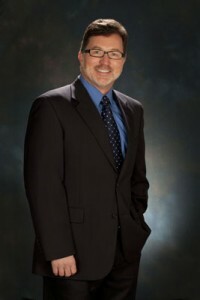 I was recently having coffee with my friend and colleague Dean and Professor Steve Gavazzi to discuss the National Council on Family Relation‘s Future of Family Science task force [more on that in a future post] and I mentioned my series of blog posts on self-regulated learning and graduate education. Steve asked me – did you mention leadership training? I had to admit I hadn’t. I invited to Steve to do a blog post on leadership to round out my graduate education series. Steve did so in the context of the conversations happening about the future of family science at the national level. Enjoy!! Leadership Matters, So what’s the Matter with our Leadership Today? Growing attention is being given to the present and future state of Family Science. Witness for instance NCFR Executive Director Diane Cushman’s most recent article in the NCFR Report Magazine. Here and elsewhere, thought is being given to the need to better understand where our academic field is, and where it is going. In her thought piece, Cushman mentioned two articles that appeared in the most recent (July 2014) issue of Family Relations. One article by Hamon and Smith dealt directly with the strengths and limitations of the discipline of family science, while a second article by Hans focused attention on some of the field’s identity issues, including what it calls itself (family science, family studies, family relations, etc.). Along with several NCFR colleagues, I was invited by Family Relations editor Ron Sabatelli to respond to these two articles. My commentary, which appeared in the same issue of the journal as the Hamon and Smith and Hans articles, invited readers to focus their concentration on a number of issues related to leadership, as I believe that there is no bigger challenge to the family science field that has to be recognized and confronted today.